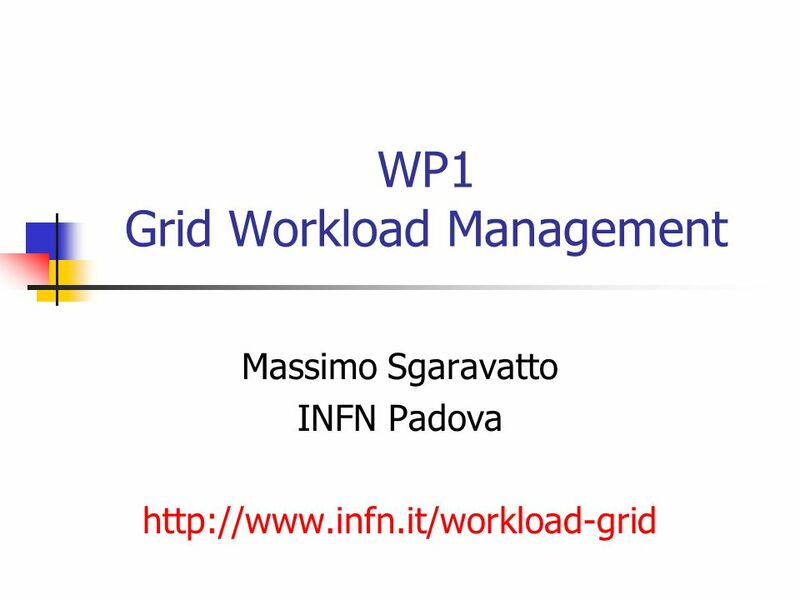 Download ppt "WP1 Grid Workload Management Massimo Sgaravatto INFN Padova"
Installation and evaluation of the Globus toolkit WP 1 INFN-GRID Workload management WP 1 DATAGRID WP 2.1 INFN-GRID Massimo Sgaravatto INFN Padova. INFN & Globus activities Massimo Sgaravatto INFN Padova. CHEP 2000, Roberto Barbera Roberto Barbera (*) GENIUS: a Web Portal for the GRID Meeting Grid.it, Bologna, (*) work in collaboration. 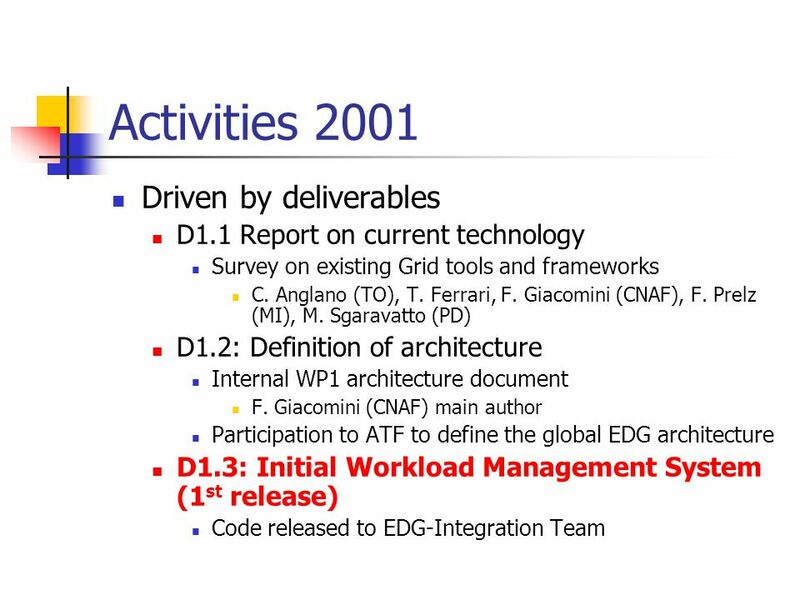 Grid Workload Management (WP 1) Report to INFN-GRID TB Massimo Sgaravatto INFN Padova. Workload Management David Colling Imperial College London. WP 1 Members of Wp1: INFN Cesnet DATAMAT PPARC. 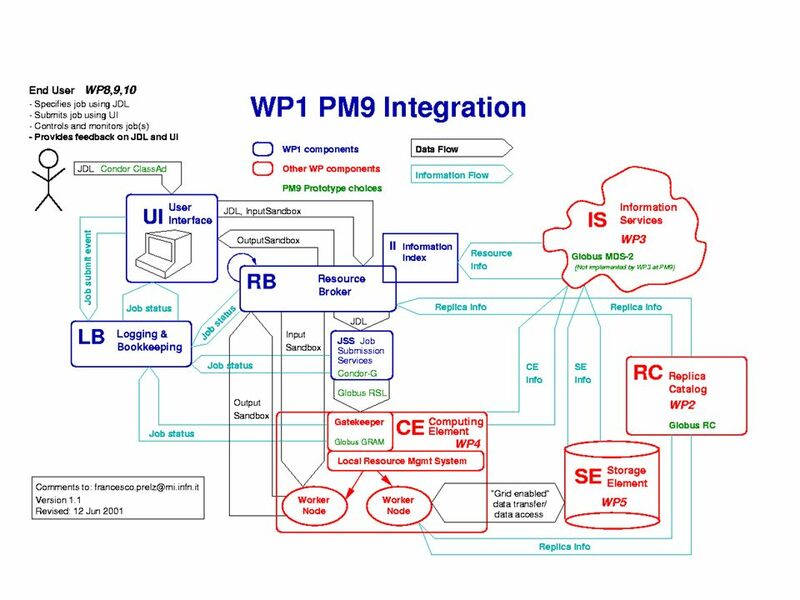 WP 1 What does WP1 do? Broker Submission mechanism JDL/JCL and other UIs Logging computational economics. Andrew McNab - Manchester HEP - 22 April 2002 EU DataGrid Testbed EU DataGrid Software releases Testbed 1 Job Lifecycle Authorisation at your site More. Andrew McNab - Manchester HEP - 2 May 2002 Testbed and Authorisation EU DataGrid Testbed 1 Job Lifecycle Software releases Authorisation at your site Grid/Web. Work Package 1 Installation and Evaluation of the Globus Toolkit Massimo Sgaravatto INFN Padova. 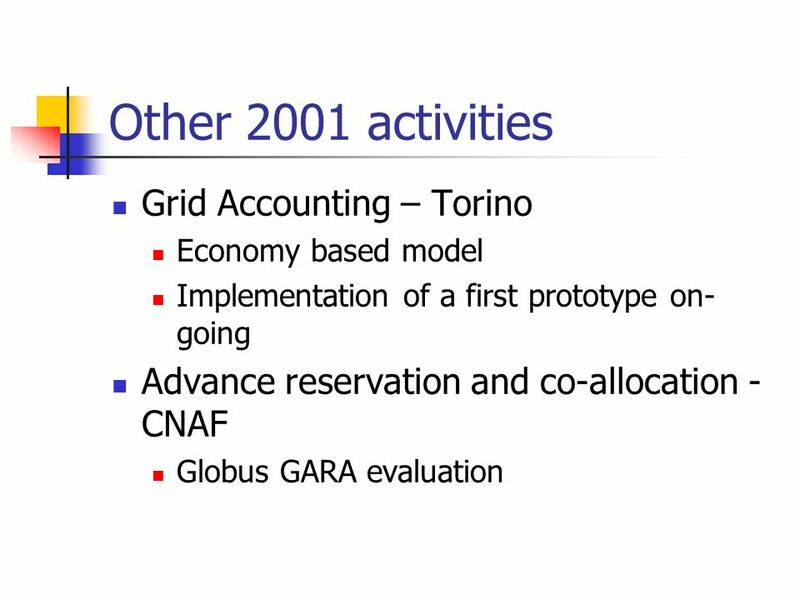 1 CHEP 2000, Roberto Barbera Recent grid activities at INFN Catania (*) HEPiX/HEPNT 2002, Catania, (*) work in collaboration with. EU 2nd Year Review – Jan – Title – n° 1 WP1 Speaker name (Speaker function and WP ) Presentation address e.g. 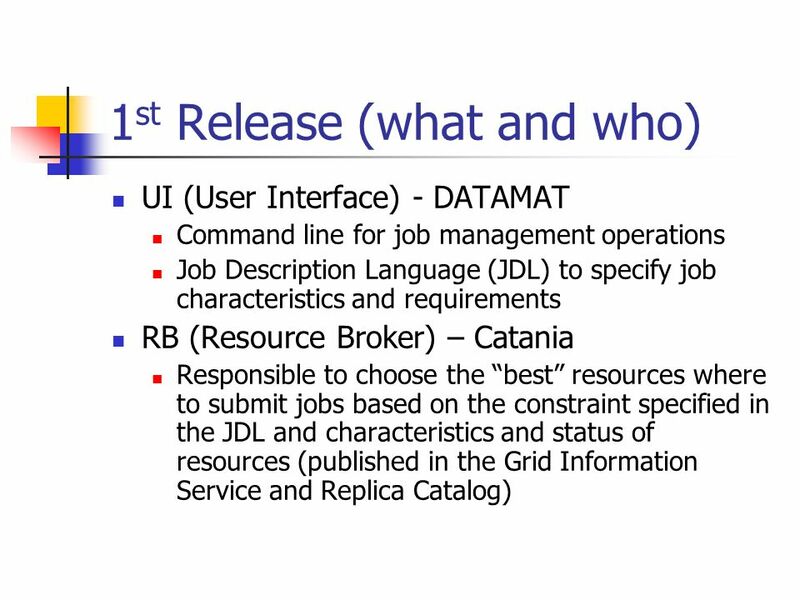 INFSO-RI Enabling Grids for E-sciencE Workload Management System and Job Description Language. FP7-INFRA Enabling Grids for E-sciencE EGEE Induction Grid training for users, Institute of Physics Belgrade, Serbia Sep. 19, 2008. Preparation of D1.7 Massimo Sgaravatto INFN Padova. Alessandro Italiano INFN – CNAF 26/09/2003 1/5 Status of the INFN - EDG testbeds Alessandro Italiano 7th DataGrid Conference. 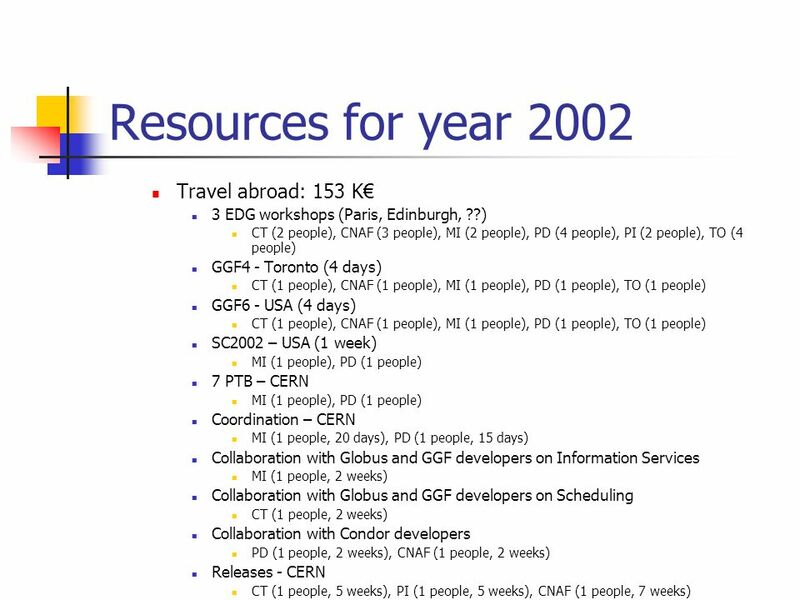 Evaluation of the Globus Toolkit: Status Roberto Cucchi – INFN Cnaf Antonia Ghiselli – INFN Cnaf Giuseppe Lo Biondo – INFN Milano Francesco Prelz – INFN. 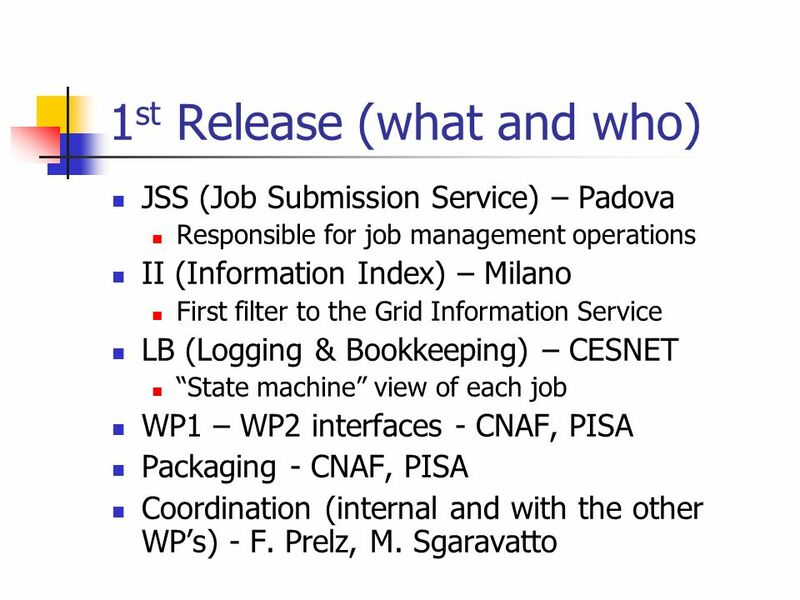 WP 1 Grid Workload Management Massimo Sgaravatto INFN Padova. 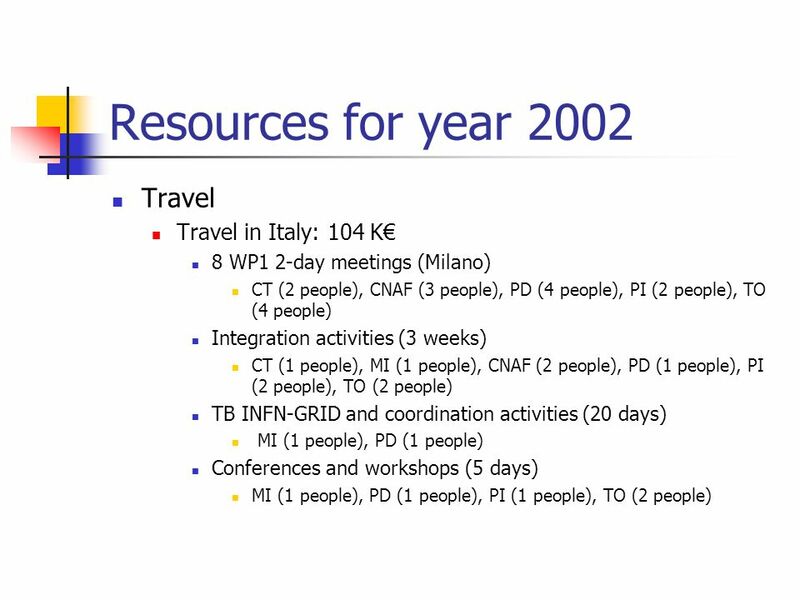 CHEP 2000, 10.02.2000Roberto Barbera Roberto Barbera (*) GENIUS: a Web Portal for the GRID Meeting Grid.it, Bologna, 14.02.2003 (*) work in collaboration.